J. Ryan Erker | Erker Law Firm, P.A. J. Ryan Erker represents families and individuals facing domestic litigation, divorce, and criminal, traffic, or juvenile charges. Practicing since 2008, Ryan has been honored to be named to Kansas and Missouri Super Lawyers® Rising Stars list since 2011. Ryan utilizes strong analytical, research, writing, and advocacy skills to professionally prepare for and advance his clients’ causes in cases ranging from divorce and pre-meditated murder charges to traffic citations. Ryan’s ability to quickly assess and prioritize the important issues in every client’s case leads to effective defenses that maximize client benefits. Ryan enjoys meeting personally with all his clients to discuss the unique aspects of their cases and learn about their particular concerns and priorities. 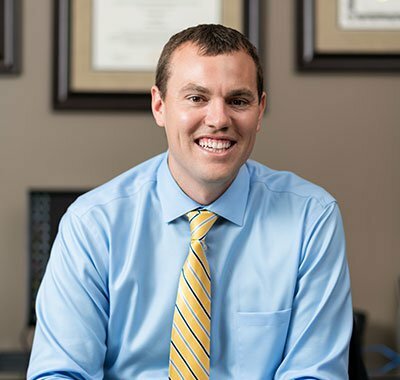 Originally from Olathe, Ryan returned to the Kansas City area to practice law after completing undergraduate work at the University of Notre Dame and earning his Law Degree from the University of Saint Louis.